Today, Enercore, a partner of SunEdison, releases survey results of business owner respondents who are interested in going solar in 2016. Solar energy is currently having a major moment. A recent report by the Solar Energy Industries Association (SEIA) states that for the first time ever, solar beat natural gas capacity additions in 2015. Solar supplied 29.5 percent of all new electric generation capacity in the country, while the total U.S. solar market experienced a growth rate of 17 percent in 2015 (business and residential). The best states to go solar have legislators that are fighting for green energy policies, while solar initiatives such as rebates and tax breaks make it easier for home and business owners to install solar panels on their roofs. Extension of net metering policies, which compensates users for solar electricity they don’t use at a higher retail rate, has also been undoubtedly an incentive for individuals to install rooftop solar and benefit monetarily for years to come. This January, California’s net metering policies were extended to rooftop solar users across the state. 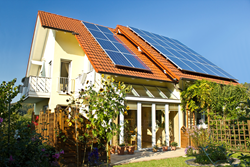 Californians are projected to benefit in over $1.6 billion due to the extension of net metering policies. The Golden State employs over 55,000 in solar jobs, the highest in the country. But solar is not all about residential users. U.S. corporations have increased their solar usage by 59% since 2014. Enercore was interested in finding out what U.S. businesses wanted to go solar in 2016. The clean energy company, surveyed business owners throughout the country, to see what states had the most businesses interested in going solar. The survey of 2,365 business owners was conducted through an email campaign by third-party marketing company Cobia Systems. Respondents were given a list of benefits that came with switching to solar energy (depending on what state their business was in), along with general survey questions including: if they were interested in having their business go solar, what was their top three reasons for interest in switching to solar, and if the business felt there was a general support behind solar in their respective state. The results of the survey are list below. Massachusetts’s business owners came in the top spot of this survey, with 64% of those surveyed interested in switching to solar sometime within the next year. Massachusetts is certainly on the forefront of solar energy initiatives and tax breaks. The state even launched a $30 million loan program in December of 2015 for individuals looking to switch to solar who may have lower incomes or credit scores. The program also provided funding to Massachusetts-owned banks and credit unions in an effort to make solar lending a part of their portfolios. The town of Foxborough, Massachusetts is now host to the first of many community solar farms throughout the state by Enercore and SunEdison. Both companies hope to provide solar energy to individuals who may not be able to put solar panels on their home or business, but still want to benefit from clean energy. The solar power plant is expected to generate enough energy to power more than 320 homes in the area. This system avoids the emission of more than five million pounds of carbon dioxide, which is the equivalent of taking close to 500 cars off the road per year. Enercore was originated in January 2016 as a leader in solar energy technology and installation for homes, businesses, and communities across the U.S through a partnership with SunEdison. The organization is committed to saving individuals money, while helping the planet. Feel free to visit our website, Facebook: Enercore or Twitter: @EnercoreSolar for more information.